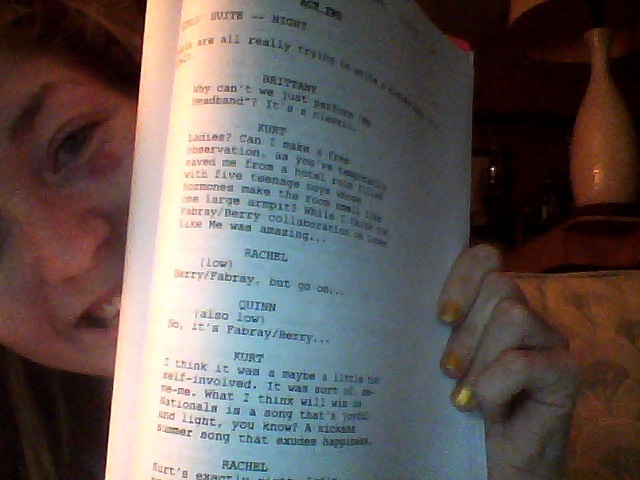 Page of script for deleted Kurt-Quinn-Rachel scene in New York. Kurt comes in to the Girls' hotel room because it saved him from the boys. He wants Quinn and Rachel to write another song as they wrote Loser Like Me. 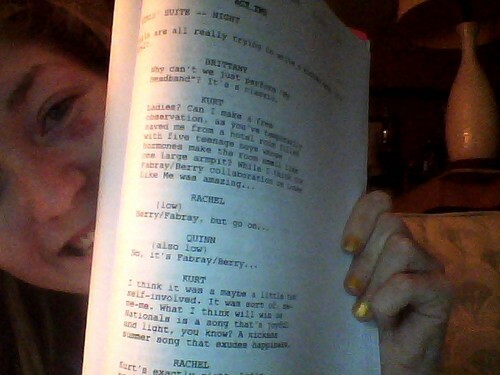 Rachel and Quinn fight on whether it's Berry-Fabray या Fabray-Berry.. Wallpaper and background images in the ग्ली club tagged: glee season 2 new york kurt quinn rachel faberry deleted scene script.